Kelly Harms’ sophomore novel focuses on Lily, an artist, who has lived her life relying on others to clean up her life-messes. Her best friend, Renee, doesn’t seem to have much time for her in her attorney/mom life. Her gallerist/boyfriend, Mitchell, is only concerned about the next piece she is creating and not the current mess Lily has found herself in. Lily is stuck and since she hasn’t turned out a painting lately, she is being evicted from her apartment after missing rent. While cleaning out her apartment, Lily finds an envelope that takes her back to a night in Vegas and a man she has totally forgotten about, Ben Hutchinson. 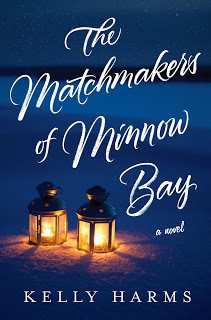 Once the shock of the contents of the envelope has sunk in, she jumps in her hatchback loaded with everything she has ever owned and travels to Minnow Bay, Wisconsin, to find Ben and make things right. Lily is a character you love, yet are annoyed with. Lily has lived in her artist bubble for ten years and her naivety has let the people in her life walk all over her. 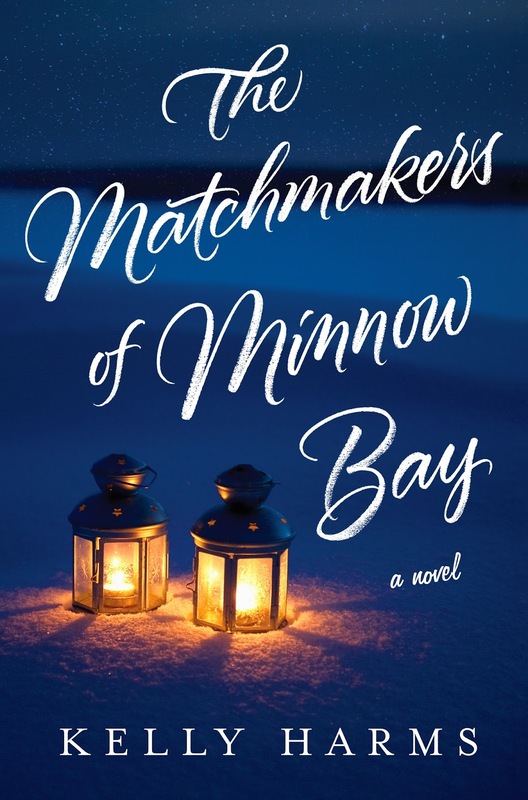 During Lily’s stay in Minnow Bay, some new characters emerge that have their own life issues and yet offer Lily kindness, generosity, and the reality check she needs. Minnow Bay is much like many other small towns in the Midwest where news travels faster that you can walk to the mailbox. It has all the quirky characters and small town struggles of staying afloat in the middle of the winter season. It also has people who genuinely care about each other and they are just the people that Lily needed to walk into her life. Harms’ book is a light read and one that could easily be read in a weekend. The romance is light and without graphic detail. The friendships are heartfelt and humorous. The story is a bit silly and predictable. But, the whole package works. Harms has the skill to put the reader into the scene of the story, with the location, the temperature, the scenery, and the emotions. It’s all there and the reader can visualize the story playing out before them. It’s not a skill all authors have and she has it. Her writing reminds me of Beth Kendrick or Jane Green, both authors I have written about before. Her characters will stay with you and when the book ends you’ll be wanting to know more. 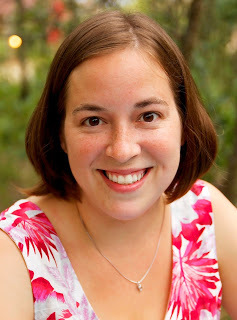 Kelly Harms is the author of THE GOOD LUCK GIRLS OF SHIPWRECK LANE and THE MATCHMAKERS OF MINNOW BAY. She has also worked with New York Times and USA Today bestselling authors, Edgar, RITA, and Agatha award winners, and Indie Next List Picks in her time as an editor at a division of HarperCollins and later as an agent at the Jane Rotrosen Agency. She lives in Madison, Wisconsin with her son Griffin and puppy Scout. After working in publishing for almost a decade (which she says was the best job in the world), she was able to rub elbows with some of her writerly heroes like Susan Wiggs. Harms states, “It was a formative time for me. Every day was a master class where I could learn from the best writers in the business.” Her early years in the business allowed her to create life-long friendships with some fabulous authors…many of whom offered wide praise on her second book. Harms will read snippets from her novel, answer questions, but mostly talk off the cuff. “We are all there because we love books.” Fans will be thrilled to hear she is working on another Minnow Bay book focusing on the character, Colleen. “I’m also having an affair with a story of a woman who steps away from her busy life as a mom and wife and what happens when she does.” Kelly Harms definitely has the talent to write the stories readers want to read.